All products are also PETA Friendly and Kosher to ensure the highest quality in hair colour and care. Sustainability is the post-modern word for ethics – decisions that support a healthy economy, community and environment – altering our society & organizations so that we live within nature’s limits. Future generations depend on us to care for everything around us so they wont have to pay the price of our present-day actions, or worse inaction. 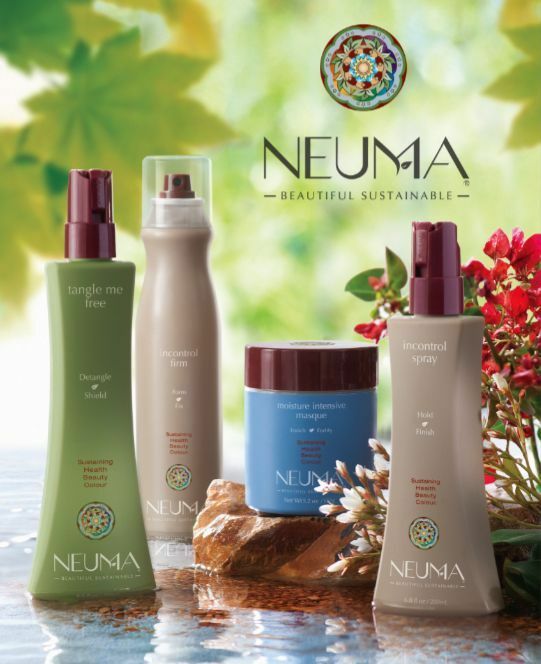 NEUMA is a part of the solution – vetting every chemical, providing full ingredient disclosure, not hiding behind words like “fragrance”, using clean energy and green chemistry principles in manufacturing, reducing packaging and maximizing use of post-consumer recycled resources, using materials that are recyclable, designing packaging and marketing materials for reuse, and partnering with suppliers who use renewable energy and support fair trade. At NEUMA, we believe that organic raw materials, sustainable business practices and continuing membership as a global corporate citizen will make the difference in the long run. We’ve made the choice because like you, we think it’s the right thing to do. Nufree is the gold standard in hair removal and is carried by thousands of professional salons throughout the world. It was developed over 25 years ago to help plastic surgeons remove hair from a patient before surgery. Aloxxi hair color break boundaries with formulations from the most advanced technology available. They are high quality, professional only products that preserve hair color and the health and integrity of the hair. Our colour features a botanical base that leaves hair healthy while delivering superior grey coverage and consistent, rich, long-lasting colour. Our care products are free of sulfates, parabens and sodium chloride and feature a nutrient rich blend of ten premier anti-oxidants.